Get ready to party in honor of Da Crusher. Published March 15, 2019 at 3:45 p.m.
As reported by OnMilwaukee last month, officials will unveil a bronze statue of professional wrestler Reggie "Da Crusher" Lisowski in South Milwaukee on Saturday, June 8. The statue dedication has now been extended to a two-day, full-on "Crusherfest," June 8-9, 2019. The party will take place at the site of the new bronze statue, 1101 Milwaukee Ave. On Saturday, June 8 the festival runs from 11 a.m. to 9 p.m. with the unveiling of the statue at 3 p.m. On Sunday, June 9 it goes from 10:30 to 5 p.m.
Crusherfest will host live bands including Milwaukee's Squeezettes, Jeff Winard Polka Band, The November Criminals, Blues Addiction and more. There will be a pro-wrestling show, screenings of classic Crusher matches, a "Mr. Saloon" competition, "Legends of Wrestling" appearances, antique motorcycle show, food, beer, cigars and more. 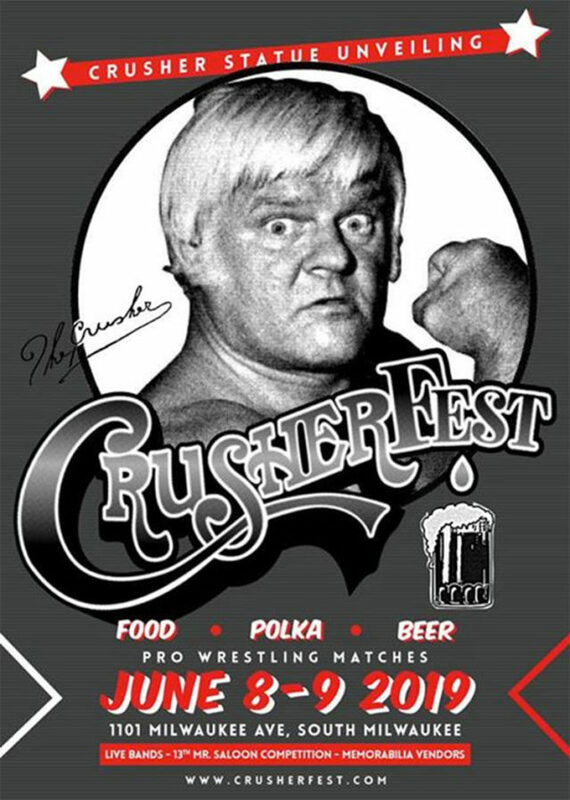 OnMilwaukee will attend the pouring of the Crusher statue in April. Stay tuned for a Facebook Live. More information about Crusherfest can be found at www.crusherfest.com or Da Crusher Statue on Facebook.